Car Design News handed out awards to BMW and Fiat as part of a ceremony hosted at the Geneva Motor Show. 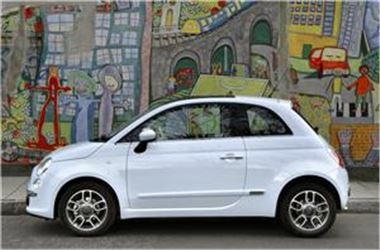 The company gave the Car Design of the Year 2007 prize for production to Fiat for its Fiat 500 model, with the Maserati Gran Turismo and Audi A5 vehicles coming second and third respectively. It also handed a gong to the BMW Concept CS, which it named Car Design of the Year 2007 for a concept automobile, coming ahead of the Mazda Taiki and Citroen C-Cactus. BMW Cars director of design Adrian van Hooydonk commented that the "award means a lot to us and the team". "There was a lot of sweat that went into this design so we were pleased with the very positive reaction to the car, especially that from Car Design News," he said. One of the features of the BMW Concept CS is door handles that only appear once motion is detected.